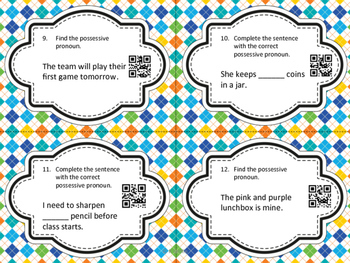 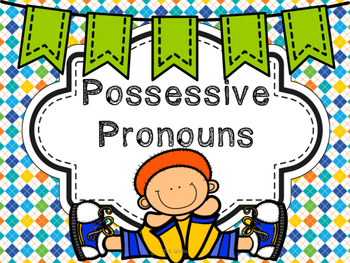 Possessive Pronouns-QR Codes, Task Cards, etc. 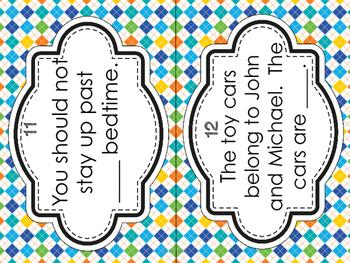 12 task cards/12 word cards for use as a game, etc. 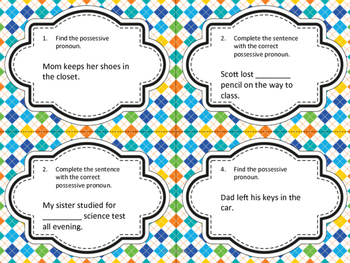 1 printable worksheet to use for extra practice, homework, formative assessment, etc.